U.S. Ambassador to the UN Nikki Haley has said for the second time this year that the United States will never be friends with Russia. The U.S. has accused Russia of interfering in the 2016 presidential election and has joined Britain in expelling Russian diplomats over the poisoning of a former spy in England. According to media reports, the U.S. plans to impose new sanctions against Russian oligarchs linked to the Kremlin this week. “Russia’s never gonna be our friend,” Haley told students at a Q&A session at Duke University on Thursday. 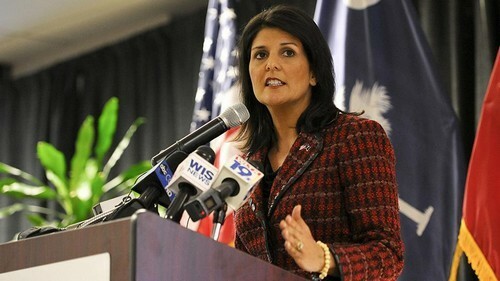 “If they decide to be a good actor and deal in the international community like regular countries, they will see more countries want to work with them,” Haley said. Haley previously said that Russia “is not [and] will not be our friend] in February, when she sided with U.S. intelligence agencies in assessing that Russia meddled in the 2016 election.